Lighting can make up a significant component of household electricity bills, however by taking advantage of advances in lighting technology and employing energy efficient options, consumers with an eye to the long term can drive down household lighting spend. While electricity consumption will, of course, vary from household to household, depending on a variety of contributing factors, as a guideline the Electricity Authority has previously found that lighting makes up 12 per cent of typical household electricity usage. Inefficient lighting can lead to a significant increase in energy bills, and while more energy efficient lighting often comes with a higher initial price tag, it is important that consumers think about their lighting purchases in a long-term context. Consumers have many choices when it comes to lighting, and the most appropriate light bulb will be determined by individual circumstances, making it worthwhile researching the different options and shopping around. While some countries around the world have embarked on a phase-out of traditionally used incandescent bulbs, consumers in New Zealand still have the choice between incandescent bulbs and other lighting technology. 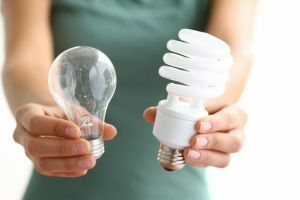 A phase-out of incandescent bulbs had been proposed in 2008, however this strategy was abandoned following the election of a new government, which lifted the proposed ban, determining that it should be a matter of consumer choice. Since this time, lighting technology has further developed, with more options available at a greater range of price points, and, importantly, costs have been decreasing. 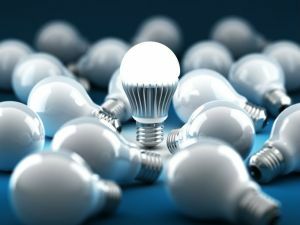 Statistics released last year by the EECA showed that consumers are increasingly taking up more energy efficient options, showing that supermarket LED light bulb sales have been increasing in recent years (up from about 1,600 LEDs sold in 2012 to more than 257,000 LEDs in 2015) amid a drop in costs. So, for consumers keen to make the transition from incandescent bulbs, or considering the most appropriate lighting for their household, what should be kept in mind? A good place to start is the Energywise website which provides a run-down of the various lighting options available and which also provides an energy efficient lighting tool, via which users can compare the costs of running different light bulbs. The tool allows users to select their current light bulb, with it then providing a list of potential energy efficient replacements, also comparing the life span, purchase price, running costs and potential savings per year of the respective light bulbs. It is, of course, also worthwhile consulting manufacturer websites in considering the pros and cons of various light bulbs, along with the specifications of manufacturers’ respective offerings, and the suitability of light bulbs for different living spaces. It may also be worthwhile consulting a lighting specialist, especially for consumers considering redesigning their home’s lighting. LED (light-emitting diodes) bulbs are one of the most commonly championed of the new wave of lighting technologies, with new LED lighting options having arrived to market in a variety of sizes, shapes and colours. As noted via Energywise, LED bulbs use up to 85 per cent less electricity than traditional incandescent light bulbs and can last more than 15 times longer (with a lifetime that should last at least 15,000 hours), and are good for most general lighting around a house. The specifications of the LED bulbs on offer from different manufacturers will vary, and consumers should be aware of what specific models offer, paying particular attention to information on the packaging, and in particular the lumens number. Compact fluorescent lamps (CFLs) can present a cheaper option than LED lights, while also delivering energy savings when compared to incandescent bulbs. Indeed, for consumers deterred by the upfront costs of LEDs, CFLs may be a viable option. As noted via Energywise, CFLs use up to 80 per cent less electricity than traditional incandescent light bulbs and can last more than six times longer (with a lifetime of at least 6,000 hours). Energywise notes that CFLs contain a small amount of mercury (up to 5 mg), advising that special care should be taken in handling and disposing CFLs, with it not advisable to use them in areas where they can easily be broken and, while if broken, the room should be vacated and aired immediately for at least 15 minutes before following recommended clean-up procedures. As with LED lights, CFLs can be found in various shapes and sizes, providing consumers a range of options. 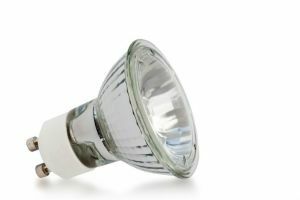 New generation halogen globes may also be a consideration for consumers, however it should be noted that these type of bulbs lag in energy efficiency when compared to LED and CFL options. Energywise notes that new generation halogen globes use up to 30 per cent less electricity than traditional incandescent light bulbs (with a lifetime of at least 2,000 hours), however use three-to-five-times more electricity than LEDs or CFLs of similar brightness. In considering these light bulbs, consumers should keep in mind that a cheaper upfront cost may not equate to long-term savings. 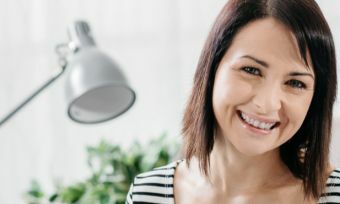 There are a number of factors to keep in mind when making the switch to more energy efficient lighting, and consumers should primarily be aware that while the upfront cost of an energy efficient bulb may represent a short-term hit to the hip pocket, long-term savings should be the goal. It is certainly worthwhile sitting down and working out the various costs involved with the aid of such tools as offered via the Energywise website. 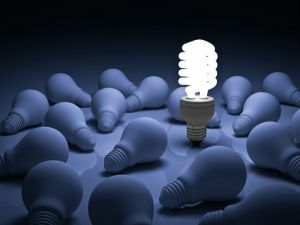 Consumers should keep in mind the appropriate fittings and fixtures for bulbs, and whether the lighting technology they are considering is the most appropriate for their individual circumstances, which will encompass considerations such as to what the lights will be used for and how often they will be used. In addition to the lighting technology used, other factors to take into account are the size, shape and colour of the bulbs, along with such factors as to how long they take to reach full brightness and whether they are dimmable.